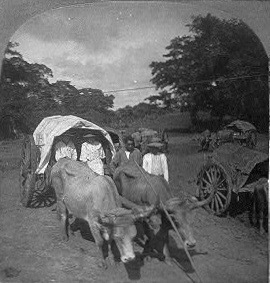 This photograph of travelers crossing the Isthmus of Panama was taken in 1906. The 4th Infantry crossed in much the same way over half a century earlier. One out of seven who made that trip died of cholera. This danger is why Ulysses and Julia decided the family would instead go to Bethel and then St. Louis.